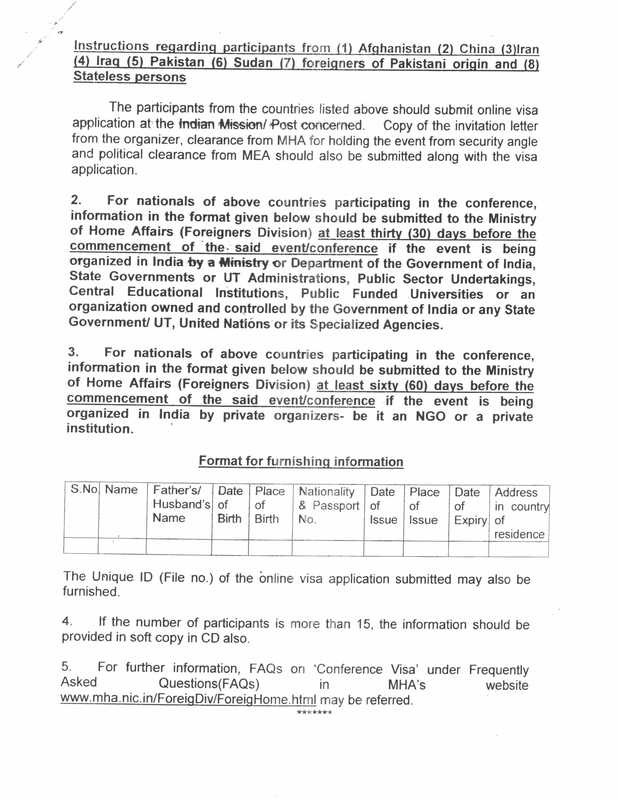 Most non Indian citizens require a visa to travel to India. Please check with your local Indian consulate for the documentation that you would need to obtain the visa. Usually an invitation letter and a letter of permission from the Government of India will be necessary and this is being mailed out to all the authors of all the accepted papers. You should receive them in the mail before 12th June 2013. Please contact the Visa chair Chandrika Sridhar or the Local Arrangements Chair Dr T V Prabhakar if you need them before that date. You may also contact them if you have not yet received them by 12th June 2013. You may also contact them if you need any additional documentation or letters to obtain the visa. 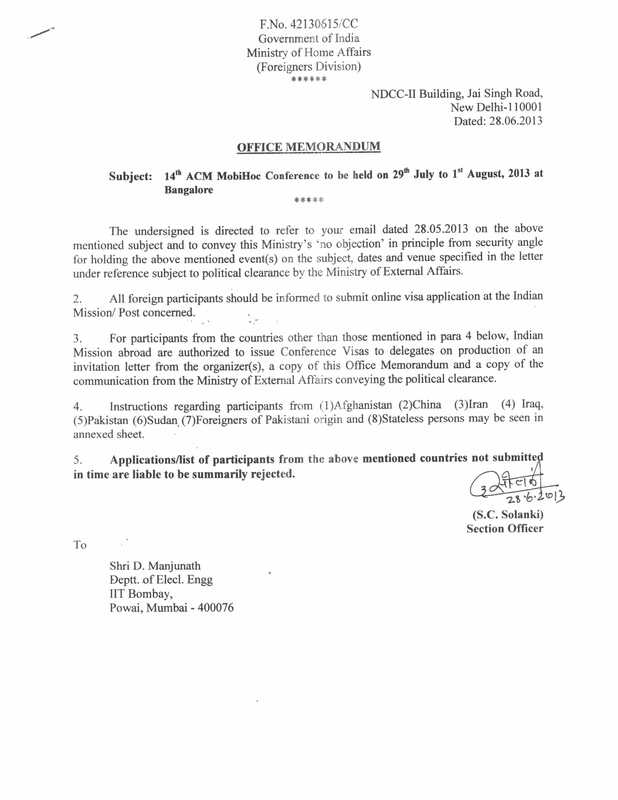 Government of India circular . Approval from Ministry of Human Resource Development, Government of India.